Privacy matters but it can be confusing. This page explains our approach to privacy on Melissa Taverna website and how it affects you. If we provide the option for you to sign up with us we take great care to keep your information safe and we’ll never share it with others without your express permission. We measure visitors to our website using Google Analytics and other services. These record what pages you view within our site, how you arrived at our site and some basic information about your computer. All of that information is anonymous – so we don’t know who you are; just that somebody visited our site. The information we collect from analytics helps us understand what parts of our site is doing well, how people arrive at our site and so on. Like most websites, we use this information to make our website better. These services provide social buttons and similar features which we may use on our website – such as the “Like” and “Tweet” buttons. Social networks therefore could know that you’re viewing this website, if you use their services (that isn’t to say they do, but their policies may change). As our website is remarkably inoffensive but quite beautiful, we imagine this is not a concern for most users. When you sign up for any of our services or information we would record specific personal information about you, such as your name and email address. We would also collect and store information about your use of our services so as to improve them. For example, we keep a log of what features are being used at any time. We would also log account and transaction history for accounting purposes, and to monitor our business activities. We may send you email notifications regarding your service (such as invoices) or which you have specifically requested (such as newsletters). You have the ability to opt out of any of this communication at any time. Of course you are responsible for keeping your password and user details confidential. Nobody at Melissa Taverna will ever ask you for your password, so please don’t trust anybody asking you for it. Thank You for the Awards of Excellence! 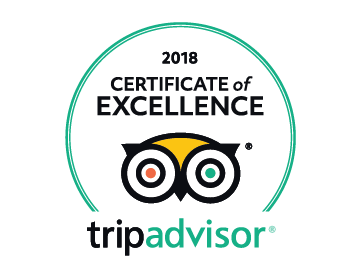 It is with great joy that we receive for the second consecutive year the Tripadvisor Certificate of Excellence. The certification celebrates hospitality excellence, being awarded only to the top-performing businesses listed on TripAdvisor worldwide. While we would be humbled by any award, this one is particularly special to us, since it is given based on customers reviews on the famous site. 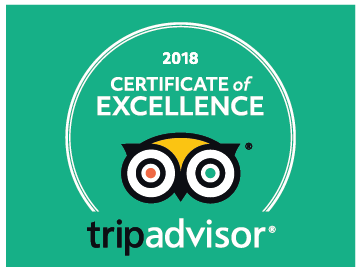 Hence, the Tripadvisor Certificate of Excellence 2018 award is essentially given to us, by all of you, giving it real meaning. Thank you for the time you've spent leaving us your feedback and reviews. We know that we can't please everybody, every time, but our first priority is always you, our customers, and we will continue to strive towards pleasing as many of you as we can. We truly share this award with all of you! Melissa Taverna is a restaurant situated in the beautiful Greek village of Stoupa.